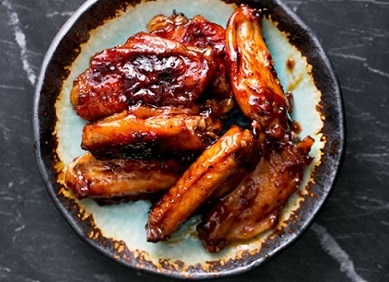 When I first discovered this recipe for Glazed Chicken Wings I thought it might be a bit too sweet for many people. After reducing the amount of maple syrup called for in the original recipe and making one other adjustment, I tried it with the restaurant/lounge guests ...after trying it on my family and friends. 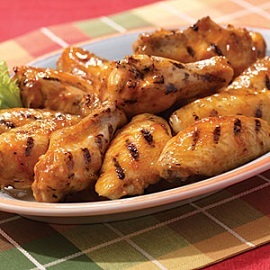 Everyone loved these chicken wings. 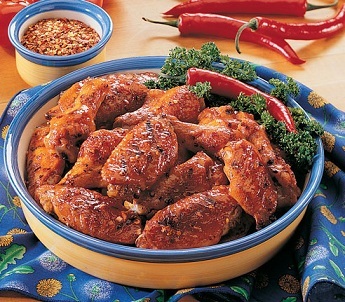 They also said they enjoyed a number of other ways to do chicken wings but that this recipe was a very nice change. The solution? I mixed a variety of chicken wing recipes on a single plate (serving). Enjoy your chicken wings and the company of those you share them with! "Why did you put chicken wings in your socks?"